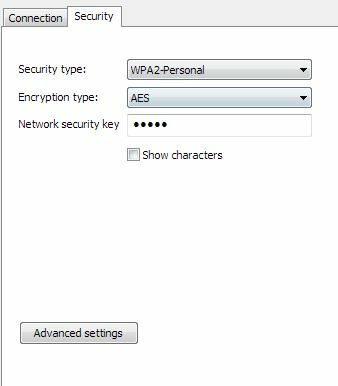 Retrieve, View or Display Wireless WEP or WPA WiFi Network Security Key or Password in Windows 7 « My Digital Life. Windows 7, like its predecessors, remembers and saves (on user consent) the network security key or password on first connection to a secured wireless (WiFi) network which is protected by WEP, WPA or WPA2, so that Windows 7 can automatically authenticate, sign in and connect to the Internet through the wireless access point or WiFi hotspot on every system startup. 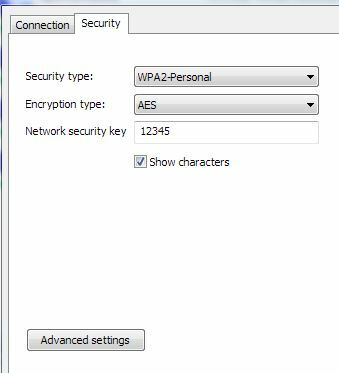 For many reason, end users may want to retrieve or view the WEP, WPA or WPA2 protected wireless network security key. For example, lost or forgotten administrator password making it impossible to view the serial key on the Wi-Fi wireless gateway or router, or need to setup new computer to access the Internet through same wireless network adapter or Wi-Fi hotspot. The quickest way to get the network security key for an existing wireless connection, of course, is from the PC or computer which is currently connected to the wireless network. Although the network security key is saved and stored in local Windows computer, Windows OS does not provide an easy way to retrieve, view or display the network security key or password on screen, in plain text and not hidden as asterisk, until Windows 7. Go to Control Panel -> Network and Internet -> Network and Sharing Center. Click on Manage wireless networks on the left pane. A list of wireless networks that the PC used to connect to with saved password or security key. 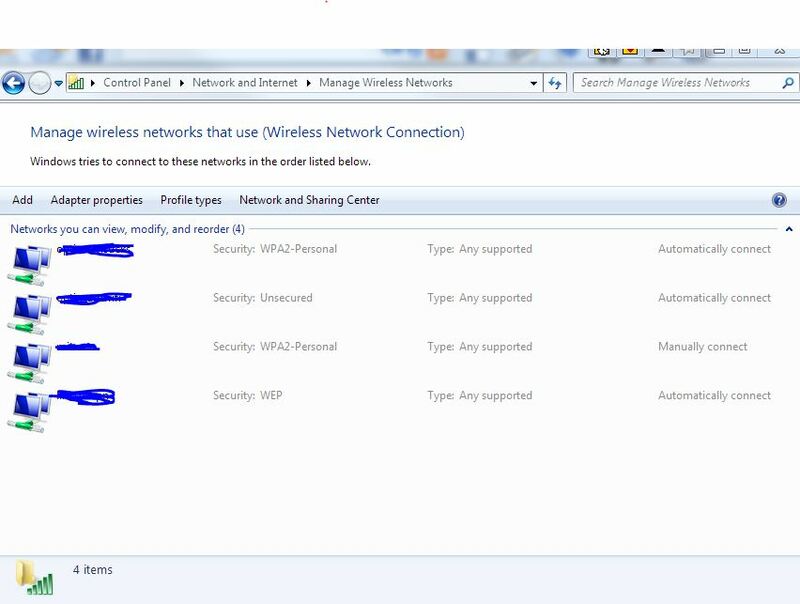 Click to highlight on a wireless network connection that user wants to view its network security key, and the right click on it and select Properties. The network security key for the wireless network is hidden by asterisk by default. Instead of usingutilities to reveal, display or show original characters of password or key hidden behind asterisks, click on Show characters button to reveal and display the actual original network security key on screen. Howto: Build a Windows Server 2003 R2 VMware Template | Mike’s Realm. With how many hits my 2008 R2 walkthrough got, I figured it was about time I do one for 2003 R2. Give your feedback, if you don’t agree with something let me know! Format drive as NTFS Why would you want to go with FAT32? Install Windows Update So we can obtain all those patches…. Adjust visual effects for performance Save some CPU, removes the unnoticable fancy stuff, window shadows, cursor shadows, etc. This is all self explanatory no? I don’t put any of these updates into images (.NET 4.0 can present problems, you can always install it if required on a per machine basis, but not hose up the works on every other VM that likely won’t need it. Create temp user and add to local administrators group This is the beginning of the h4x! Test IE and verify settings An update may have botched your IE settings, so double check! Disable Indexing on C: This is really a performance thing, and is augmented further by virtualization, imagine your VMs sitting idle indexing the C: drive, awesome use of CPU cycles! Disable all visual effects Again save those CPU cycles! Disable the pre-logon screensaver via regkey: set HKEY_USERS.DEFAULTControl PanelDesktopScreenSaveActive: 0 Another thing to save CPU cycles! This post shows the steps to configure static ip address, default gateway, netmask, dns server and make a network auto start at boot on linux CentOS 6.3 host normally configured with static ip address, so that easier to maintain the configuration on it’s client and DNS server will always able to resolve it. Luka’s tech blog: Virtualizing Windows 2000 server P2V. UPDATE: Original site is now GONE! I’ll try to post as many as possible solutions to the problems I encounter at my dally work as an IT systems engineer. – I checked latest full server backup. – Installed and connected temporary Gigabit switch (pluged in server and my laptop which have VMware vCenter Converter Standalone Client installed). – Wrote down IP settings (ipconfig /all). – Stopped / disabled all unnecessary services and wrote down their names and startup type. We wanted to control services startup. I also stopped and disabled all Dell management agents and AV software.After server was prepared I started VMware Converter and run P2V wizard as described in my previous blog.During this wizard I was asked to point to newer version of Scsiport.sys file. My current version was 5.0.2195.7017 and I needed 5.0.2195.7059. I started searching and found it on some other W2k server. I pointed a wizard to this file and moved forward. After two hours server was virtualized and ready to start. Before booting virtual machine I always change Power On Boot Delay parameter to value 9000 in Virtual Machine Properties. I do it because I don’t like catching ESX at boot to choose whatever boot parameter I need. Dammit, Blue Screen or so called BSOD! It says STOP: 0x0000001E (0xC0000005,0x804a6467,0x00000000,0x000000B0). I checked on Google and quickly found out that the problem is in Scsiport.sys driver. Quote from MS KB904374: “This problem occurs because of a code problem in the Scsiport.sys driver that is included in Update Rollup 1 for Windows 2000 SP4”. I also found this two other links: KB Article 1879 and KB Article 1005208. 1. Injecting SCSI controller device drivers into Windows (VMware KB 1005208). I tried it and it didn’t help. 2. I also tried changing Scsiport.sys with some older and newer versions and didn’t help either. I did this by booting virtualized server from Ultimate Boot CD and copying the files to proper location on server’s hard disk. 3. I downloaded and extracted Hotfix from KB904374 and copied files to virtualized server. Didn’t help. 4. I changed SCSI controller from BusLogic to LSI Logic and got different error “STOP 0x0000007B INACCESSIBLE_BOOT_DEVICE”. 1. I installed hotfix from KB904374 to original server. a. Download the VMware SCSI Disk Controller driver floppy. b. Extract with vmscsi-1.2.0.4.flp with 7zip to original server. c. Start “Add new hardware” from Control panel. d. Add new SCSI device and point to extracted files. 3. Repeat server prepare steps and start P2V wizard from VMware Converter. 4. Boot virtualized server and “Voila” Windows 2000 virtualized server is now booting. After successful first boot I prepared virtualized machine as described in my previousblog. This is it. Have fun!